16 Australian Expert Motivational Speakers share their success secrets to living your life with purpose and passion! And you'll be inspired by 16 amazing speakers & motivators in total including Patrick Hollingworth who shares what it took to climb to the top of Mount Everest! 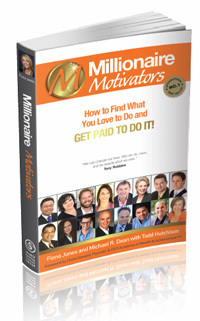 If you want to reach YOUR peak, Millionaire Motivators will teach you. How to create your own life. How to stay on track once the motivation has gone. How to break through the barriers holding you back. Tips on how to master your mind to create success. How to find your passion and make money doing it! - Janet Evans, 4-time Olympic Gold Medallist, Legendary American World Record Holder 400m, 800m & 1500m Freestyle, Businesswoman & Mother of two! "You do not have to be a swimmer to understand the power of Shelley Taylor-Smith. A woman ahead of her time, her legacy, where she beat her male competitors so consistently, led to equal prize money for both men and women in the sport." Would you like to dramatically increase your confidence and successfully communicate with large groups of people? If so, this book takes you up-close with sixteen of the best speakers that make hundreds of thousands of dollars every year from their craft. Now you can discover all their secrets and how you too can conquer your fear and become an exceptional public speaker. Plus $357 of free bonus gifts too! The 8th Bonus Resource CD contains techniques for self belief, goal setting, visualisation, relaxation, clearing the 'mind chatter' noise, and rediscovering your dreams. Click below to hear a sample. Bonus 8th Resource CD: Shelley guides you on goal setting techniques, exercises on visualisation, relaxation, freeing your mind from the noise and our sabotaging self talk and how to program yourself for the future. 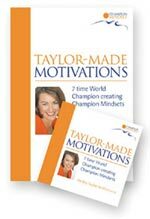 PLUS 21 Champion Motivations personally ‘taylor-made’ just for you! Want to achieve your goals, inspire yourself, get fit and healthy, be positive, boost your motivation, increase your energy or cope with daily stresses so you can enjoy your life and family more? with all the tools and techniques to keep you on track and motivated. Champion Motivations with Today’s Taylor-Made subscribers. "Highly energetic and inspiring!" 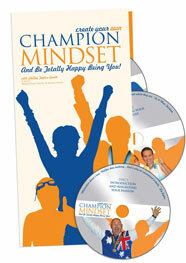 the Champion Motivations CD is guaranteed to motivate you and Accelerate your Success in 2007! A Seven week program of 'Taylor-Made' workouts and Champion strategies, coached by the World Champ Shelley herself. If you want to keep up in today's world, whether you are an entrepreneur, parent, team leader, manager, business owner, student, athlete or individual; you need to equip yourself for the future. 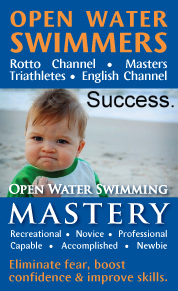 This programme teaches you how to grow yourself to greatness. Better than that, it teaches you how to share these same principles learned to help others too. 100% Self belief in YOU! 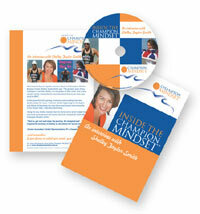 Learn how Shelley created her Champion Mindset and the secrets of success! A powerful and inspiring, emotional and revealing interview, Shelley shares herstory and elations of becoming the most decorated woman internationallyin her chosen field – Marathon Swimming. 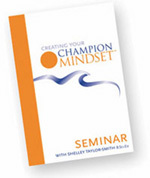 Along the way Shelley realised thatthe mental drive which helped her overcome great physical and mentaladversity created the Taylor-Made Champion Mindset™ within. Key motivational messages empowering you to redirect your focus & revitalise your winning attitude to achieve your life goals! A 2-day seminar with tools to transform your life through positive changes and empower you to create the future you want NOW. 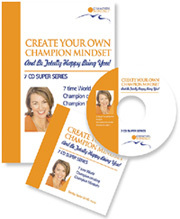 Keep in touch with Your Champion Mindset with the bookmark. Simply download the PDF, print and cut along the lines indicated. "I took your book home last night. We had a power failure and you should've seen my kids how they were trying to read the book and look at the photos in candlelight! Melanie got really excited to see the book signed by you. Thank you!" "If you don't quit you'll make it"
& "Stuff it and flush it." I am now implementing them in my life." "I have read your book and listened to the cd and I'd have to say, it's the best dollars I have spent in a very long time. What inspiring stuff! Shelley, you are AMAZING! Your story has just blown me away, with the all inspiring energy you've supplied. I found myself so absorbed in your story that I laughed. I cried. I ached. You are a true blue Australian!"